a few more fixes and internal updates. Android Oreo supports a great new feature with much more flexible App Shortcuts. 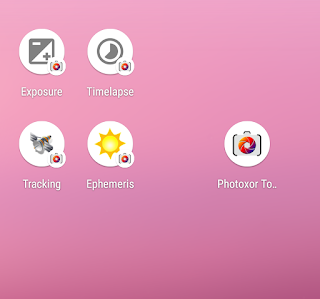 They are now available for Photoxor C1 Toolkit. 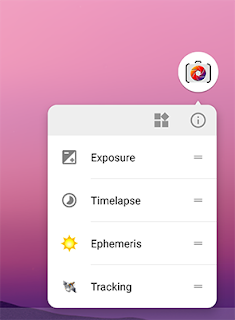 These Shortcuts allow you to directly access Toolkit functions, even put icons directly onto your launch screen to open with one click only. Firstly, make sure that your device has Android Oreo (version 26), otherwise this feature is not supported by Android. You can now press on one of the shortcuts, for example Exposure to directly open the exposure calculation screen. 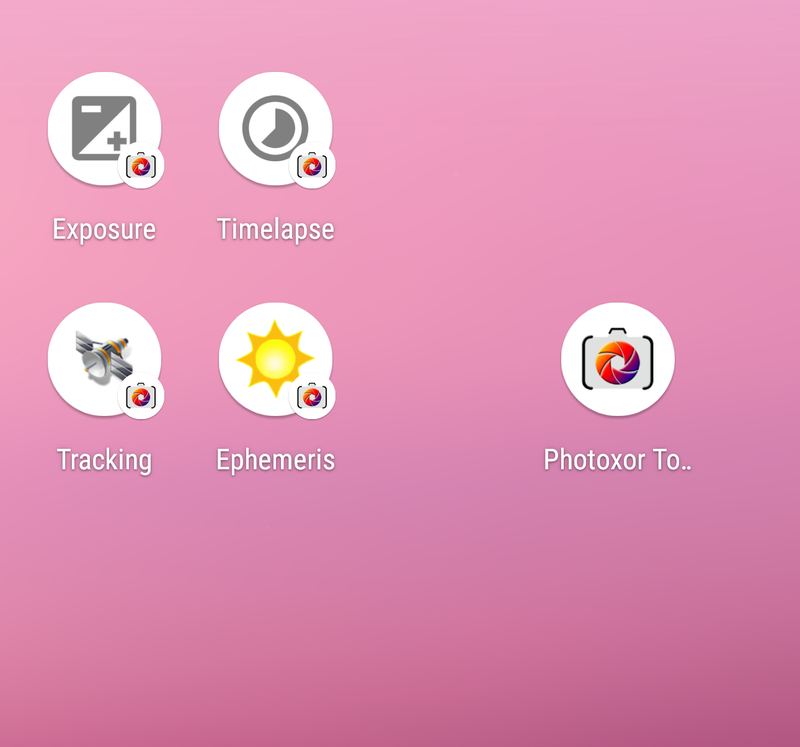 Or you drag a shortcut icon onto your launch screen, to get additional icons for a one click access to these Photxor functions.